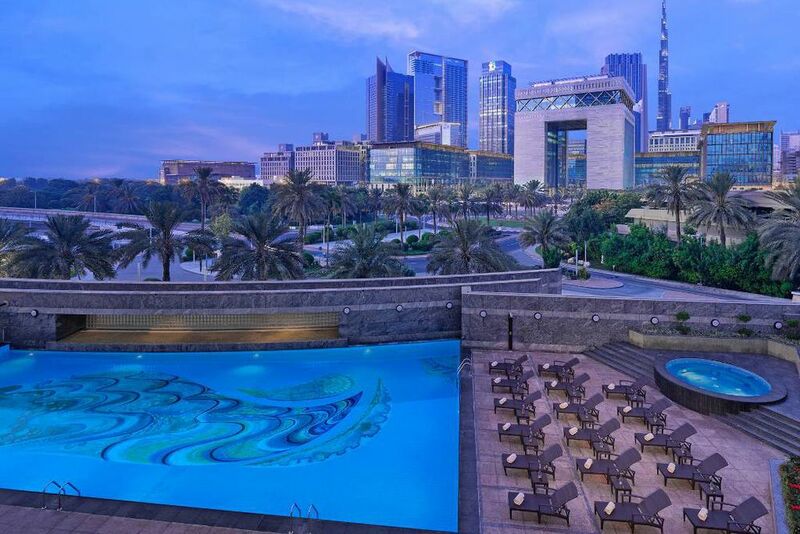 Enjoy the ultimate hotel experience for the corporate traveler in Dubai at the Jumeirah Emirates Towers, where business and pleasure go hand in hand. 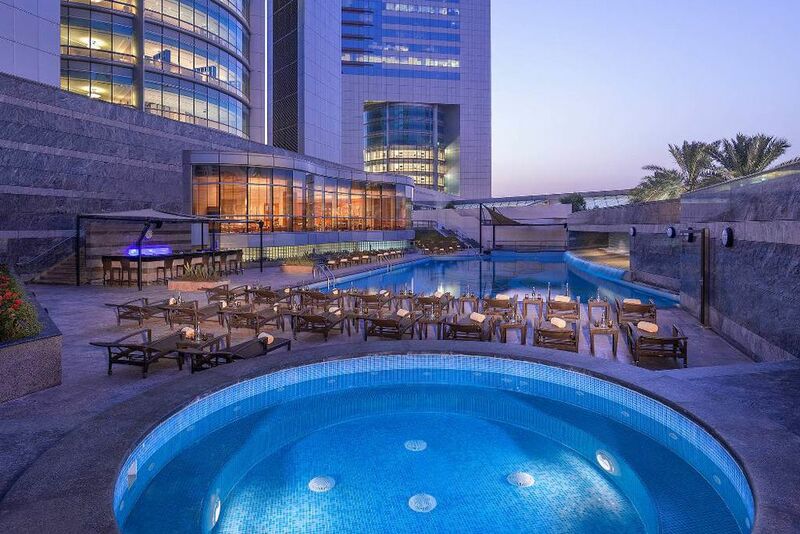 Conveniently located on the opulent Sheikh Zayed Road, the hotel is a few minutes away from the metro station. 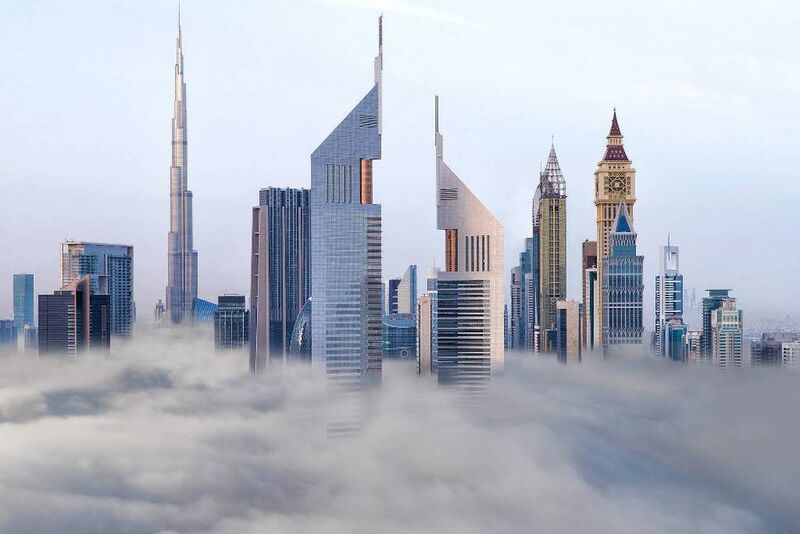 Burj Khalifa (an 828 m high skyscraper, currently ranked as the tallest structure in the world), the Dubai Mall (the largest mall in the world) and the Dubai Fountain (the world's second largest choreographed fountain system) are within easy reach. 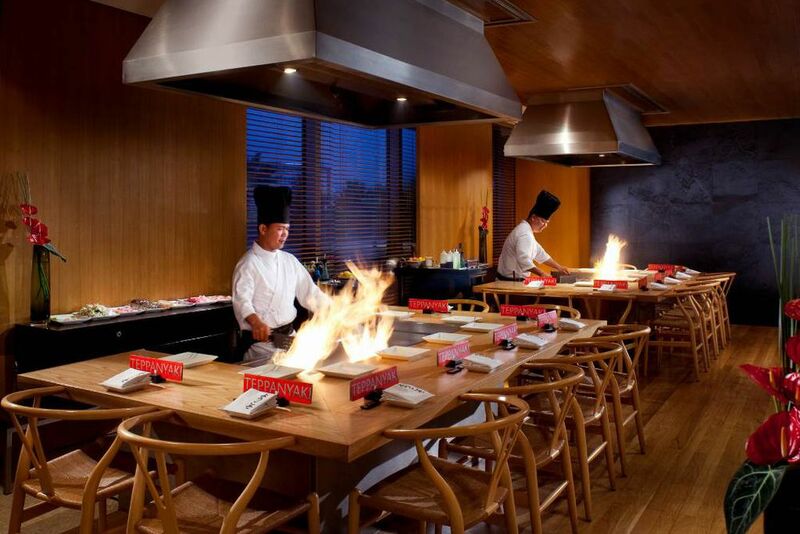 The hotel’s free shuttle bus takes you to these attractions in just a few minutes. 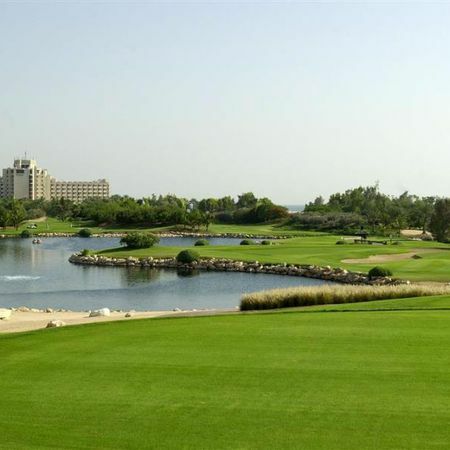 The Dubai International Airport is approximately 16 kilometers away. 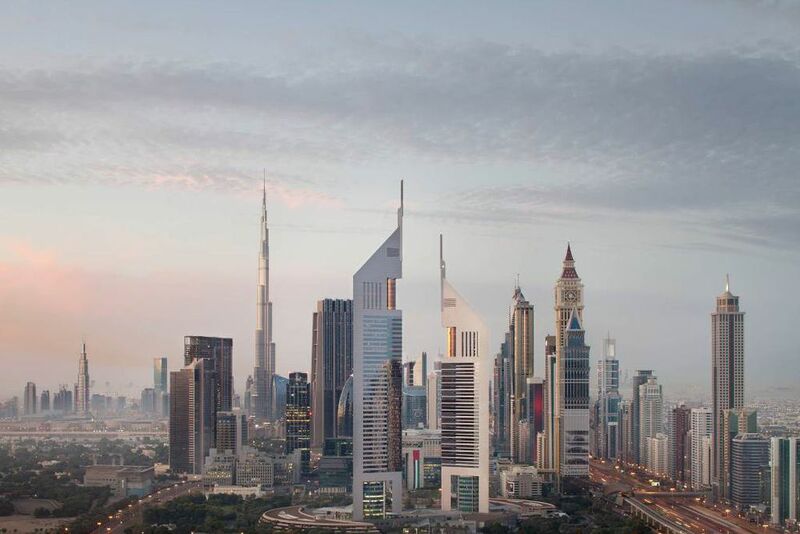 Overlooking Dubai’s financial district, the special architecture of the two adjoining towers makes Jumeirah Emirates Towers one of the landmarks of the city. 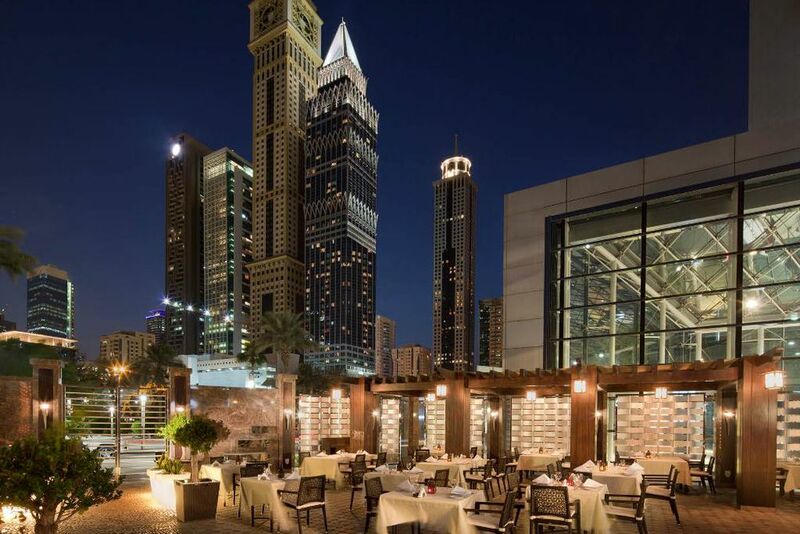 Whatever kind of dining experience you’re looking for, Jumeirah Emirates Towers award-winning restaurants, bars and lounges - such as The Rib Room, Hakkasan and Al Nafoorah - are an attraction for guests and city locals alike. 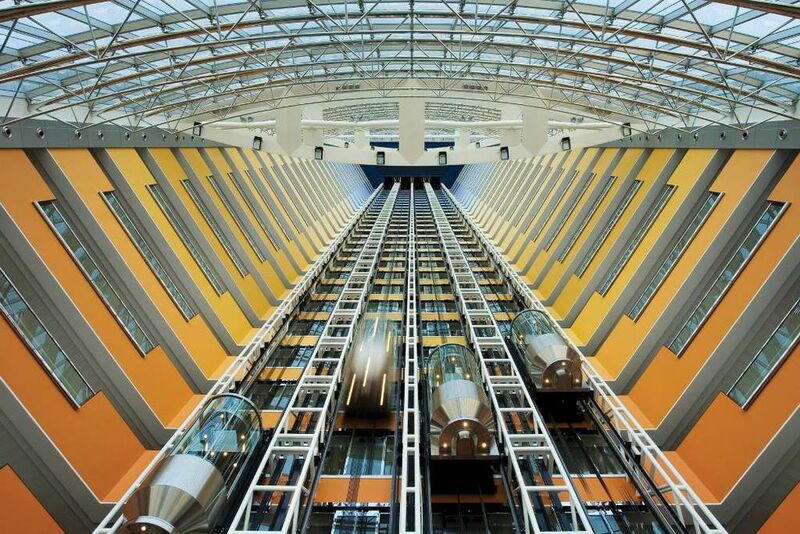 The hotel’s soaring atrium lobby is one of Dubai’s favourite places to do business. The hotel offers comprehensive facilities, including eight meeting suites, a large ballroom, the Biz Hub, as well as outdoor venues for meetings and conferences. 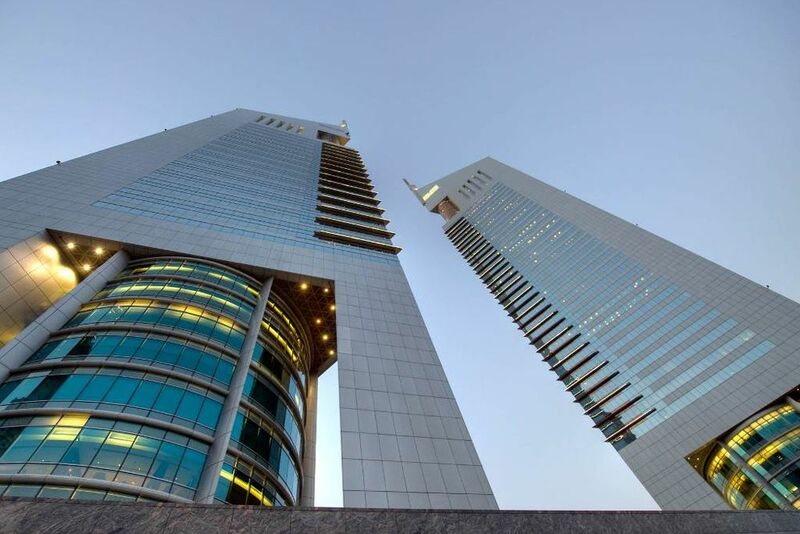 The Jumeirah Emirates Towers also provide concierge services, 24-hour room service, shopping facilities in the adjoining shopping center, as well as cleaning services. In-room childcare is available for a fee. 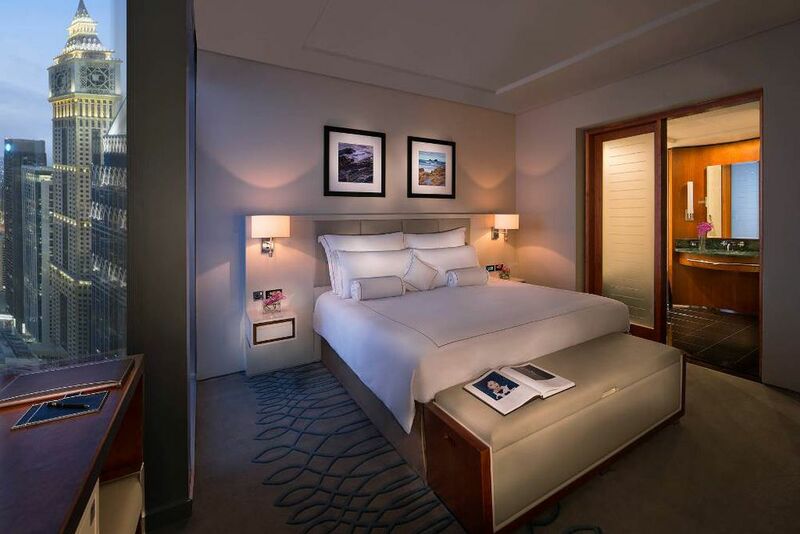 The 400 luxurious rooms and suites are tastefully furnished and boast large panoramic windows overlooking the city. All guest rooms have a bathroom with separate shower, safe, LCD TV, telephone, Wi-Fi, minibar, coffee/tea making facilities and air-conditioning. 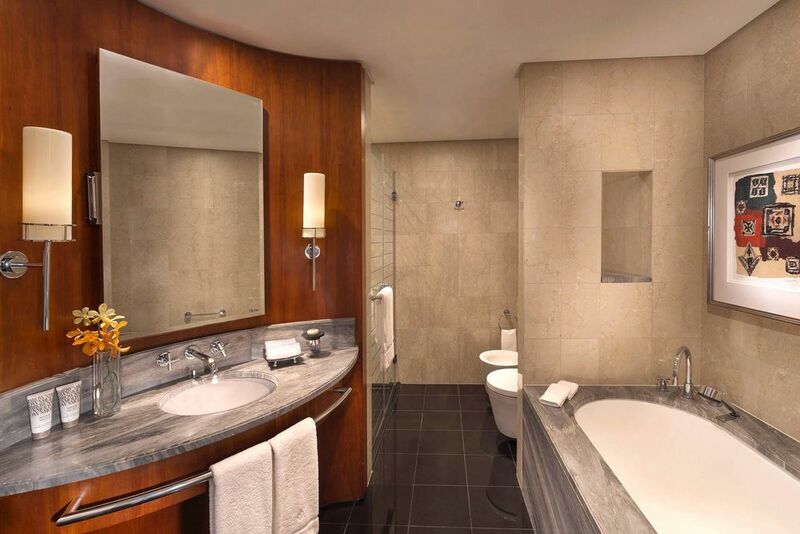 Premier Deluxe Room (44 m²) - Located on the 30th to 39th floor and newly designed. For a maximum of 2 adults and 2 children (below the age of 12 years) or 3 adults and 1 child. 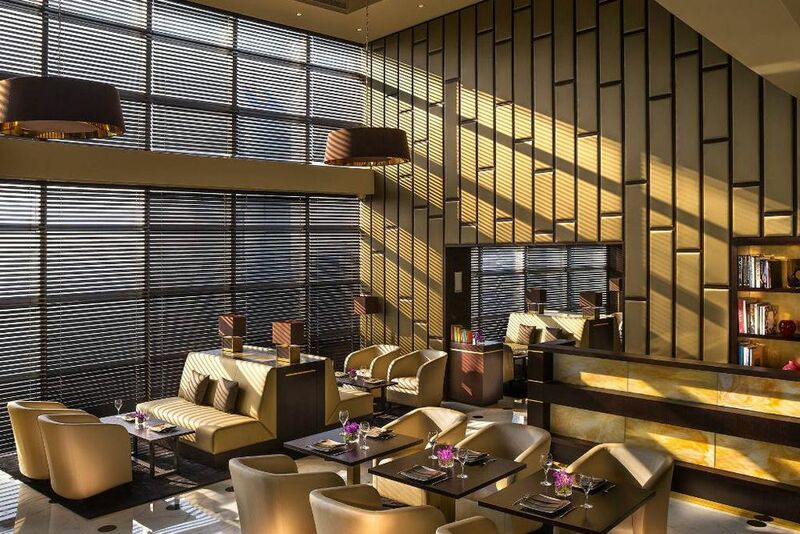 Club Room (44 m²) - Located on the 36th - 39th floor, these rooms include complimentary access to the club lounge on the 42nd floor with panoramic views over Dubai. For a maximum of 2 adults and 2 children (below the age of 12 years) or 3 adults and 1 child. 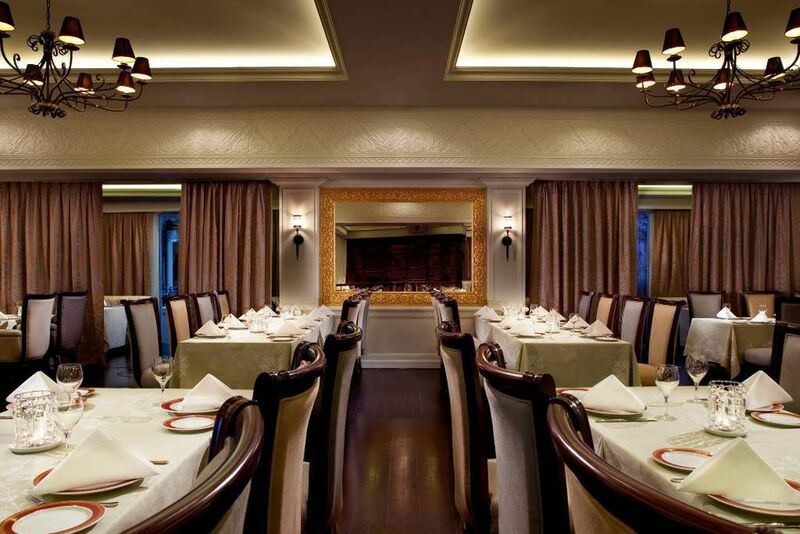 Club services: breakfast is served in the Club Lounge or in the restaurant from 7am to 11am. 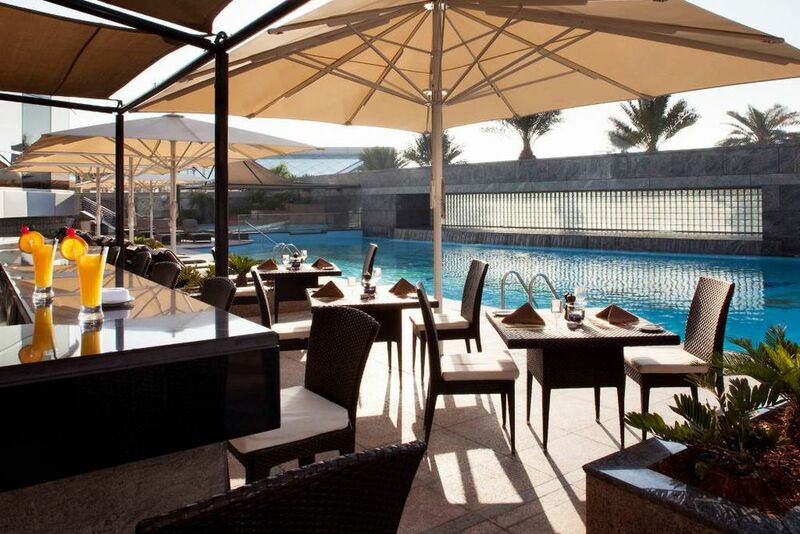 During the day, tea, coffee, soft drinks, lunch and afternoon tea are served from 1pm to 3pm in the Club Lounge. 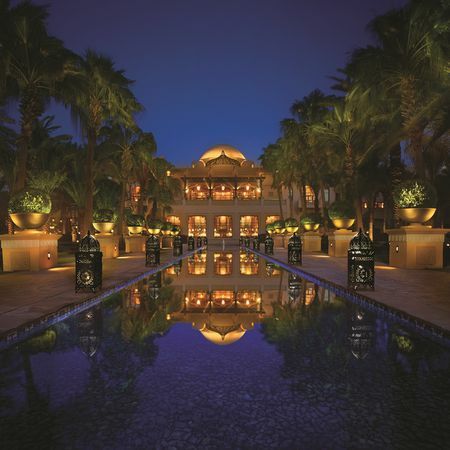 From 6pm to 8pm, the lounge offers selected cocktails and canapés. Children under 12 years are admitted in the lounge only for breakfast. Hide away from Dubai’s hustle and bustle for a few moments and indulge all your senses in an immersive mind and body experience at the Talise Spa. 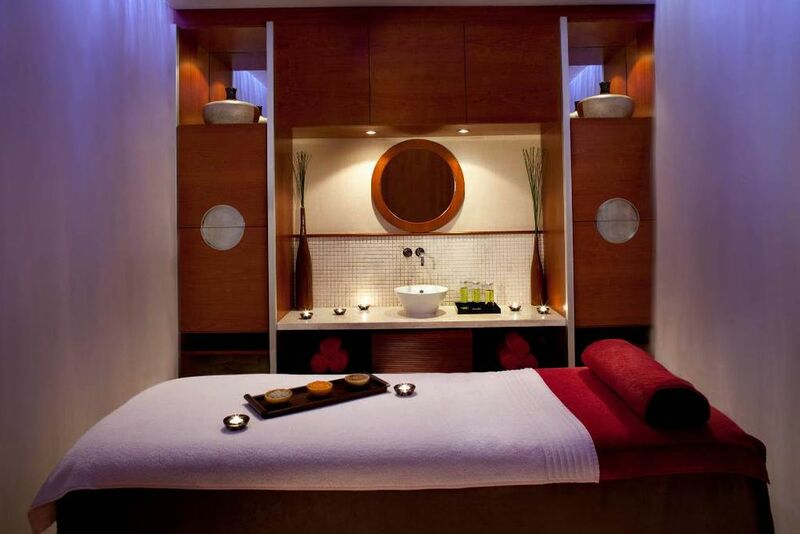 Pamper yourself with soothing massages or spa treatments in one of the spa’s 4 treatment rooms. 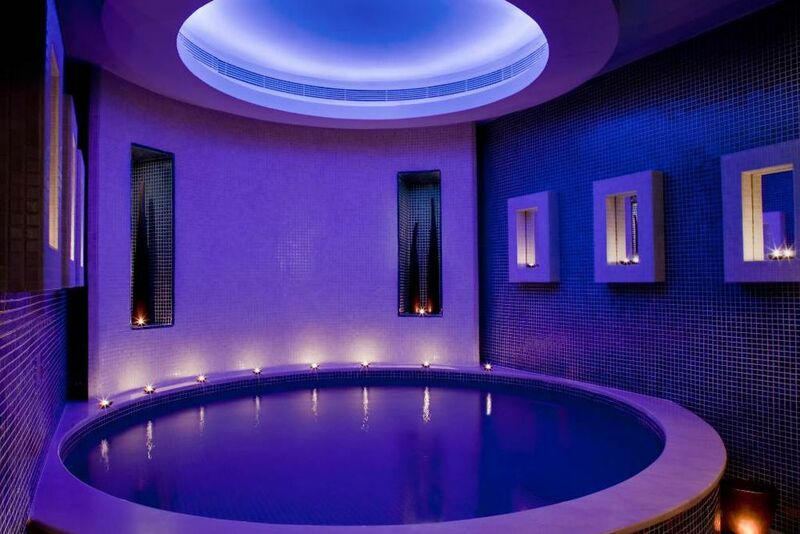 Unwind at the very exclusive floatation pool; float in salt water while listening to soothing music. The Talise Spa also features a sauna, male and female changing facilities, signature treatments (i.e. facial therapy and tanning sessions) and revolutionary weight loss programs. In addition, guests at the Jumeirah Emirates Towers will receive free entry into the Wild Wadi Water Park and Jumeirah Beach. Situated on the Boulevard of Jumeirah Emirates Towers, the Talise Fitness Center is the perfect place to exercise even whilst on vacation. 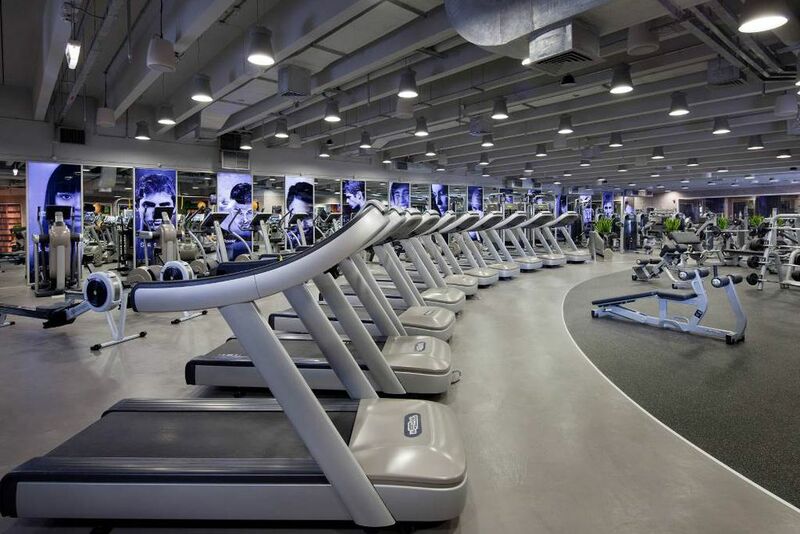 The fitness center has the latest equipment, personal trainers and classes like zumba and yoga. The facilities also include a 25m swimming pool, a networking lounge with complimentary coffee and a ladies only, private gym section.